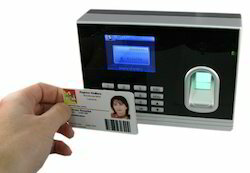 We are supplier, dealer and trader of Access Control System. This product is noted for its excellent design and is applauded for its functionality. Furthermore, we are offering this at reasonable price to our customers. 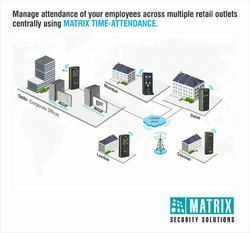 Matrix COSEC is a state of the art Access Control System, designed to provide comprehensive Access Control and Time & Attendance solution for medium and large enterprises. Its master-slave hardware architecture offers the option to start as a small setup which can expand easily with the growing business. This versatile product comes with a Web-based Management Software that can monitor and control up to 1000 locations, 75,000 DOORs and 5,000,000 users in real-time. With basket full of advanced security features and innovative management software, it ensures enhanced security and increases the productivity of the organization. The innovative NODE-DOOR architecture with support for 75 Door Controllers per NODE allows centralized management of all the Door Controllers. It also offers flexibility in selecting readers and supports centralized Finger Print distribution. 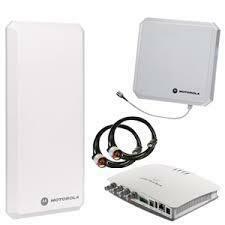 Thanks to the Ethernet based interface, that ensures faster installation, minimum wiring, easy expandability and compatibility with any existing infrastructure. This compliments faster implementation and significant cost reduction for the organization. Finger Prints COSEC door controller is the front-end terminal people access during entry and exit. Door Controllers read biometric credentials (fingerprint and palm vein) or RF cards to log each entry/exit and control door lock. Door controllers are connected with the COSEC server or site controller. They store all user access information and send entry-exit detail to COSEC server in real time. The COSEC door controllers divided into four series as mentioned below. Adopt US advanced DSP technology keeps processing and matching right on the device. Standalone application as time attendance, Identity management. Industrial Leading "Dual Sensor™" Facial Recognition Algorithm, FAR < 0.0001%. 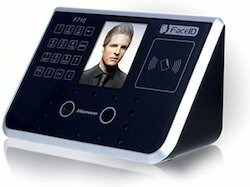 COSEC door controller is the front-end terminal people access during entry and exit. Door Controllers read biometric credentials (fingerprint and palm vein) or RF cards to log each entry/exit and control door lock. Door controllers are connected with the COSEC server or site controller. They store all user access information and send entry-exit detail to COSEC server in real time. The COSEC door controllers divided into four series as mentioned below. Touch screen biometric time attendanceCOSEC door controller is the front-end terminal people access during entry and exit. Door Controllers read biometric credentials (fingerprint and palm vein) or RF cards to log each entry/exit and control door lock. Door controllers are connected with the COSEC server or site controller. They store all user access information and send entry-exit detail to COSEC server in real time. The COSEC door controllers divided into four series as mentioned below. Centralized time attendance biomatri COSEC door controller is the front-end terminal people access during entry and exit. Door Controllers read biometric credentials (fingerprint and palm vein) or RF cards to log each entry/exit and control door lock. Door controllers are connected with the COSEC server or site controller. They store all user access information and send entry-exit detail to COSEC server in real time. The COSEC door controllers divided into four series as mentioned below. 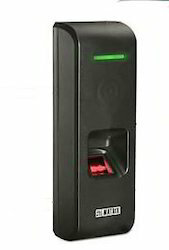 HAND SCANNER TIME ATTENDANCE COSEC door controller is the front-end terminal people access during entry and exit. Door Controllers read biometric credentials (fingerprint and palm vein) or RF cards to log each entry/exit and control door lock. Door controllers are connected with the COSEC server or site controller. They store all user access information and send entry-exit detail to COSEC server in real time data. The COSEC door controllers divided into four series as mentioned below. 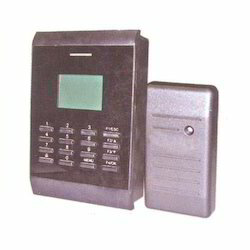 PALM VEIN Time attendance COSEC door controller is the front-end terminal people access during entry and exit. Door Controllers read biometric credentials (fingerprint and palm vein) or RF cards to log each entry/exit and control door lock. Door controllers are connected with the COSEC server or site controller. They store all user access information and send entry-exit detail to COSEC server in real time. The COSEC door controllers divided into four series as mentioned below. 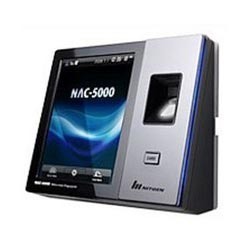 Looking for “Access Control System”?